This is an original 5x7 watercolor painting done by myself, Bonnie White. This painting comes matted in a single 8x10 archival off-white mat, ready for a ready-made clear glass frame. I continue to paint these 5x7 paintings as way to help people on their way to building their own art collection. I find that what starts as a print can very well begin a quest for collecting original art. Surrounding yourself with original art brings a joy to life that is pretty hard to find in other ways. 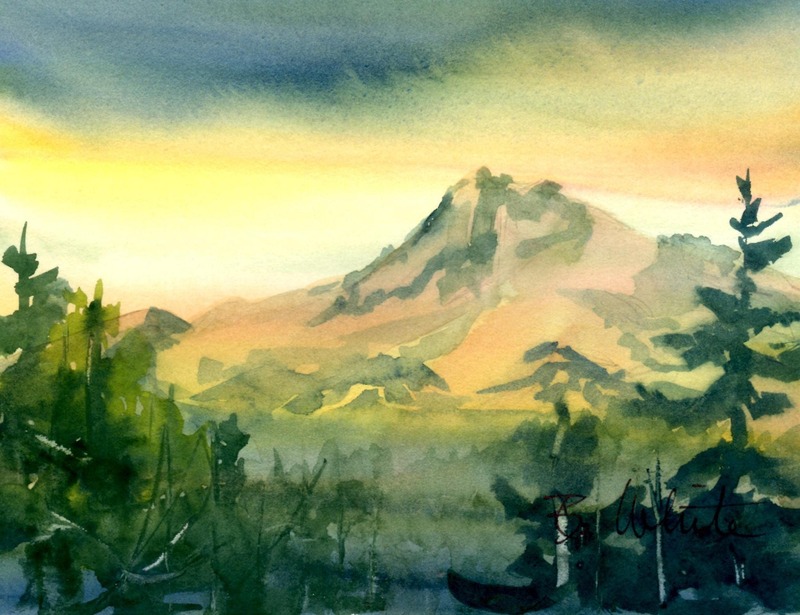 I am an award-winning painter living in the Columbia River Gorge. This is a painting of the gorge. You can see larger paintings at bonniewhite.net.